Dr. Raj Bonde is a Homeopath health practitioner with an experience of more than three decades to his credit. He completed his MD in Homeopathy from FOSTER in the year 1984. In three decades Dr. Raj Bonde has served people and has diligently served people and has received 37239 excellent reviews from his patients. He has previously worked as senior consultant at Computer Aid Medical and Research Centre. He is also a professional member of the Royal Society of Health, London. He is committed to provide the best health care to his patients looking after the individual needs and preferences of each person. The treatment services provided by Dr. Raj Bonde include anti- ageing treatment, chin reduction treatment, weight management treatment, acne treatment, allergy treatment, asthma management program, dengue treatment, gastrointestinal disorders treatment, hair restoration technique, head and neck pain treatment, hyperthyroid treatment, hypothyroid treatment, Vaccinations, Migraine Treatment, Viral Fever Treatment, Nose Bleeding Treatment, Thyroid disorder treatment, Baldness Treatment, Capillary Treatment, Breast Examination, Treatment of Deep Vein ?Thrombosis, Diabetes Management, Exercise Plan, Family Planning, Gastric Treatment, Hair loss Treatment, Irritable Bowel Syndrome Treatment, Intra - dermal Treatment, Insomnia Treatment, Laser Treatment for Ringworm, Onychrocryptosis Treatment, Nutritional Assesment and Constipation Treatment. You can book an online appointment with Dr. Raj Bonde, or visit him at his self ? established clinic situated in Osmanpura, Aurangabad. Dr Raj Bonde is so pleasant to talk to and always ready to answer your doubts. I am so much benefitted with his treatment, that i am perfectly fine now. I was shocked to experience the symptoms of hair loss. One of my cousin's referred to Dr Raj Bonde. The best thing about Dr Raj Bonde is that he prescribes limited no. of medicines. The friendliness of staff is the best in the Dr Bonde Homoeo Clinic. I thought that post treatment it won't happen again, but then after sometime, the symptoms re appeared. I consulted a number of specialists but the way Dr Raj Bonde treated me was the best . He ensures that he listens to his patients. The overall atmosphere in the Dr Bonde Homoeo Clinic is very soothing. Raj Bonde has in depth knowledge and ensures that he explains the problem in detail. The overall outlook of the Dr Bonde Homoeo Clinic was very nice. My previous experiences were not so good, but Dr Raj Bonde has completely changed my opinion as he is very helpful and humble. He has expert knowledge in the Homeopathy field. After my hair health treatment, I have noticed considerable change in myself. Dr Raj Bonde guidance has helped me immensely and has helped gain confidence. I was quite concerned, as my hair health was degrading day by day, but due to Dr Raj Bonde and the hair treatment I didn't lose hope. It's been more than a year that I was experiencing. The hair treatment given by him benefitted me to a great extent. Thanks to him I am totally satisfied with the results. I needed to go through an acne treatment to make my skin better just like before which was spoiled by acne. I consulted Dr Raj Bonde at his clinic Dr Bonde Homoeo Clinic in Aurangabad. He did my treatment and all my acne problem was solved thereafter. He is a very nice doctor and also very responsible. I was suffering from pimples. Dr Raj Bonde has a very positive attitude towards all the patients. The overall atmosphere in the Dr Bonde Clinic is very soothing. he with great ease handled my case. Thanks to the expert care and guidance, I feel much better than before. 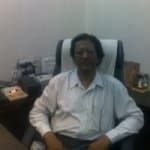 I found the answers provided by the Dr. Raj Bonde to be professional, practical, knowledgeable, very helpful and caring. Hello Sir, thank you very much for the kind and valuable advice. Please guide me to reach you for the treatment. Thank you. Dr. Raj Bonde provides answers that are very helpful, professional, knowledgeable, well-reasoned and inspiring. Thanks for the advice as it's one of the finest replies I have ever received. Dr. Raj Bonde provides answers that are very helpful, helped me improve my health, knowledgeable and inspiring. A very good doctor Shri Raj Bonde is. He gave me a good prescription. Dr. Raj Bonde provides answers that are very helpful and helped me improve my health. What about amway all plant protien since im a vegetarian my protien intake is not that good. Dr. Raj Bonde provides answers that are knowledgeable. If you could suggest any hair tonic, it would be best, cuz i happen to hate medicines. And yea, haemoglobin is less. I found the answers provided by the Dr. Raj Bonde to be knowledgeable, well-reasoned, caring, sensible and practical. Thank u so much doctor. I'll follow your advice. I found the answers provided by the Dr. Raj Bonde to be very helpful. Thanks for the advice and the suggested medicine sir.. How long do i have to take the medicine? I found the answers provided by the Dr. Raj Bonde to be very helpful, knowledgeable, sensible and helped me improve my health. Tnx docter it is very valuable . I am 23 years old female, I am suffered from severe dandruff, so that I am having severe hair fall. So Please tell the remedy for hair fall. Hair fall is common now a days. Due to stress and eating habits. And some illness, like anemia, thyroid and hereditary problems. Take following homoeo medicine. Acid hydroflouric 30 (30 ml sbl company). 1 drop 3 times per day x 14 days on tongue. Do not take anything 15 min before after medicine. Also use arnica montana q 30 ml + 100 ml pure coconut oil mix and use before wash twice weekly. Use arnica homoeopathic shampoo take plenty water 3 to 4 liters per day. Eat proper food, carbohydrate, protein, minerals, fruits. Avoid outer food. You may contact me on this site. And check my package and get customised medicines. I am 23 years old female from india with severe hair loss for past 7 years resulting in baldness. I have already undergone prp and meso scalp treatments a year ago but I don’t see any improvement. How to stop hair fall. And gain new and healthy hair? And how to get rid of dandruff? How can I keep my hair steady and do not allow them to fall on my face as they long but not long enough. Hello Sir/Maam My problem is that from a long time my hair fall becomes and I tried many anti hair fall oils and shampoo but this problem become continue. Please solve my problem. Thank You. Sir mere hair fall last 20 days. Too maine net pe check kiya too hairs me kujli hoti thi. Too sir maine lemon try kiya 3 days but not good result. So that is fungus and what is treatment and share your number. What is plasma in PRP procedure. How many PRP needs to be done and does it remove the dead skin or what else what is the benefits of it. Also tell me the side effects of it. The use of platelet-rich plasma (PRP), a portion of the patient's own blood having a platelet concentration above baseline, to promote healing of injured tendons, ligaments, muscles, and joints, can be applied to various musculoskeletal problems. What should I do to control my hair fall from side and how do make it to grow smoothly. Hi I am ranjeet from pirapur my hair is very fall why? Please reply me fast with solution. Hair fall is common now a days. Due to stress and eating habits. And some illness, like anemia, thyroid and hereditary problems. Take following homoeo medicine. Acid hydroflouric 30 (30 ml sbl company). 1 drop 3 times per day x 14 days on tongue. Do not take anything 15 min before after medicine. ALSO use arnica montana Q 30 ml + 100 ml pure coconut oil mix and use before wash twice weekly. Use arnica homoeopathic shampoo take plenty water 3 to 4 liters per day. Eat proper food, carbohydrate, protein, minerals, fruits. Avoid outer food. Dr. raj bonde you may contact me on this site. And check my package and get customized medicines. My hair condition is deteriorating a lot. I had once very long silky and shiny here. After 11th class till now there has been 7 years and my hair condition has changed drastically. My straight hairs have become curly and rough. I am getting bald. There is no spark in my hair. I tried many things. I massage my scalp with hot oil. I give it a steam once or twice in a week. I don't eat junk too. I eat 2 eggs Daily. I drink amala juice and aloevera juice, coconut water, milk, etc. I am not understanding where I am lagging. please help me to get my shine back.